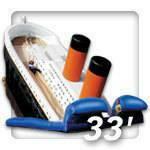 Still the most popular inflatable slide, kids, teenagers and adults love a great slide. Participants climb to the top of the stern through the cabin of the great ship. 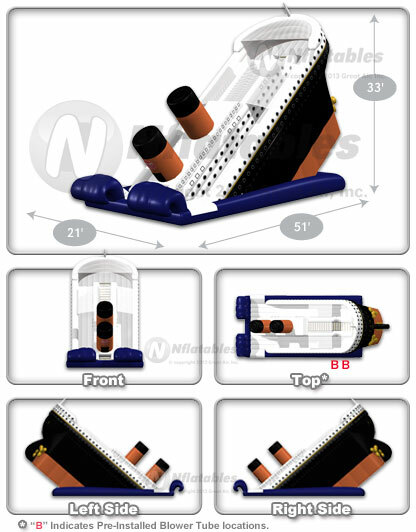 The first one to get to the top of the stern of the Titanic has one last feat to accomplish; the wild 30’ descent down the deck of the awesome dual slider. Great fun and loads of laughs for participants and spectators alike.